The Jersey Pinelands Curling Club is offering Introduction to Curling sessions at Winterfest on Saturdays in January from 11 a.m. to noon. The Winterfest ice rink at Camden County’s Cooper River Park isn’t just for skating anymore. On Saturday mornings, a group of people carrying stones and brooms hop on the ice. The name of the game is curling, and the Jersey Pinelands Curling Club is offering residents from across the area a chance to pick up a new sport this season. The curling club is offering Introduction to Curling sessions on Saturdays in January at Winterfest, located on Park Boulevard across from the Crowne Plaza hotel in Cherry Hill. The classes are being offered on Jan. 12 and Jan. 19 from 11 a.m. to noon. Regan Baird, vice president of the Jersey Pinelands Curling Club, helped bring curling to Winterfest. The club holds regular league matches and introductory classes regularly at The Igloo in Mt. Laurel, but was looking for a place to play outdoors. The club contacted the county and was able to play some league matches at Winterfest last year. The club returned to Winterfest this year and was able to get a few hours of ice team each Saturday prior to the rink’s public skating hours. The club hosts league matches from 9 to 11 a.m. on Saturday. They also decided to create an outdoor Introduction to Curling session this year. The one-hour Introduction to Curling session is broken into two parts. For the first 30 minutes, club members will teach attendees the rules of the sport and some basic skills. “We’ll spend a half hour teaching you how to slide, how to release the stones, how to sweep the ice, so you can learn some rudimentary skills,” Baird said. For the last 30 minutes, those in attendance will get an opportunity to take part in a practice game. 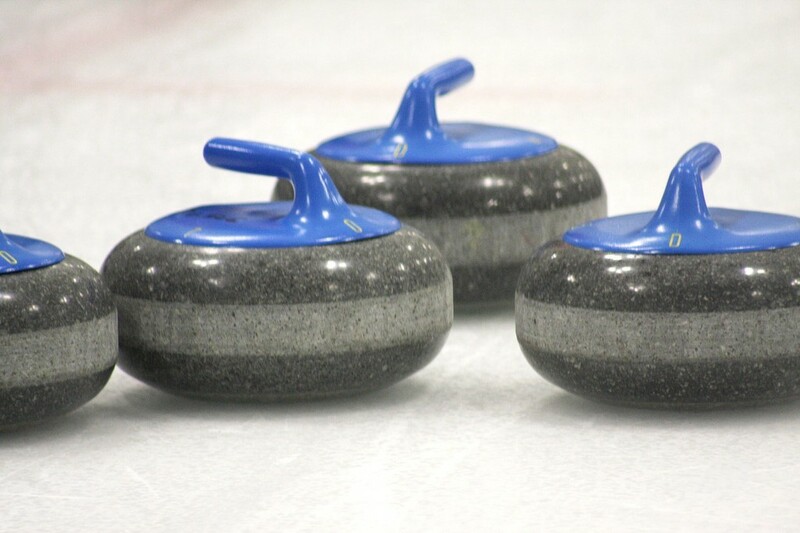 Residents of all ages can take part in the Introduction to Curling sessions. Everyone from children 10 years old to seniors are invited to check out the sport. Baird added the sport and basic skills are easy to pick up for anyone. The curling club isn’t just about competing on the ice. After each session, the club gets together at Keg and Kitchen in Haddon Township for a social gathering. This type of gathering is known in curling as broomstacking. The Jersey Pinelands Curling Club is continuing to grow after being formed in 2014 shortly after the Winter Olympics. After the United States’ men’s team won the gold medal in curling at the 2018 Winter Olympics, the club saw a boost. Baird said one of the club’s intro to curling sessions at The Igloo after the Olympics last year drew more than 300 attendees. The cost for the Introduction to Curling class at Winterfest is $10, and tickets can be purchased in advance by visiting www.jerseycurling.organd clicking on the “Try Curling” button. Equipment will be provided, but participants should wear warm, loose fitting clothing and rubber-soled shoes. Children under 18 are required to wear a bike or hockey helmet, helmets are optional for adults. Sessions are cancelled if it is raining at 8:45 a.m. In the event of rain, tickets are refunded. Baird said the club is looking forward to playing at Winterfest in January and thanked Camden County for giving the club an opportunity to use the rink. “We hopefully can participate in Winterfest for subsequent years to come,” Baird said. For more information and a list of other Jersey Pinelands Curling Club events, visit www.jerseycurling.org.